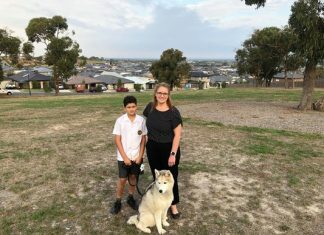 It’s hard not to think of one particular movie title – made up of just three words – when describing Western Park’s astonishing win over Drouin at Bellbird Park on Saturday… The Great Escape. 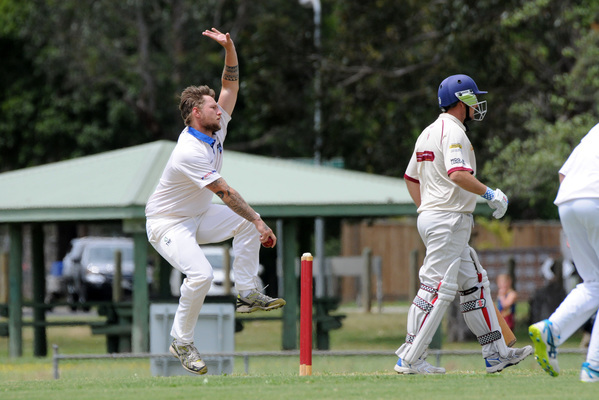 Missing the likes of skipper Sam Batson (shoulder), Danny Sheehan, and Tyler McDonald, and with stand-in skipper Leigh Diston unable to bowl, the odds were already starting to stack up against Western Park – particularly given they were defending a particularly gettable 167 on Saturday at Bellbird Park. Drouin started the chase promisingly, but lost both openers – Nick Harper (11) and John Perry (24) – in quick succession to stumble from 0/36 to 2/38 as Sanjaya Gangodawila (2/17) struck twice. But skipper Sam Van Der Zalm, who has shouldered the bulk of the leadership responsibility this season as captain-coach, remained stoic. As Jake Harper (6) and Sam Wyatt (0) fell around him, he remained positive – playing his shots all the way through. He’d been given a couple of lives early on – one a particularly catchable dropped chance at square leg – but he survived, and seemed destined to steer his side to a famous victory. But Troy Lehman had other ideas. After removing Paul Timewell leg-before for 18, he took each of the remaining wickets to fall, including Van Der Zalm for 90, and finished with 6/41 from a shade over 20 overs. But that still doesn’t tell the full story. Drouin was 6/155, just 13 runs short of victory, when Lehman dismissed Jamie Glen with a well-placed bouncer – caught behind off a top-edge. From there, the Hawks were all out for 158 with Lehman claiming an astonishing 5/2 from his final 20 deliveries. It was impossible not to feel for Drouin, given Van Der Zalm and his men did so much right for so much of their innings. But that’s the beauty of cricket – a match is never over until the final runs are actually scored. Meanwhile at Hallora, the similarities between the visiting Buln Buln’s innings and the home side’s chase were stark. At one stage, the Lyrebirds were 6/76 before recovering and going on to post 208 on day one. On Saturday, the Kangaroos were 6/88 at tea. Unlike the Lyrebirds, they weren’t able to fully recover – losing two key wickets soon after. But looking back, it’s remarkable they were even in that position in the first place – given at one stage they were seemingly in all sorts at 4/17 after Dave Macdermid chopped on to Ricky McKerrow for 3, Lachlan Jagoe took a ripping catch on the square boundary to remove Sam Whibley for 11, Fraser Duncan was caught at second slip just off the ground by Bryce Monahan for 2, and James Vela was bowled by Jackson Noonan without scoring. Brett Williams was again caught by Monahan for 20 with his side then at 5/57. Ash Causey (34) and Grant Duncan (26) were both key parts of the resistance – remaining particularly patient – but one of the key turning points came when Duncan, set after seeing off more than 100 deliveries, was run out at the bowler’s end after Jeff Walsh got a fingertip on a shot hit back to him. A hard-hitting half century from Malinga Surappulige late kept Hallora’s hopes alive, but his was the final wicket to fall at 168. Jackson Noonan was the pick of the Lyrebirds’ attack with 3/24, while McKerrow (2/20), Monahan (2/25), and Max Kelly (2/43) claimed two wickets apiece. Elsewhere, Ellinbank’s 273 at Kydd-Park Reserve always seemed a bridge too far for Jindivick and it proved to be the case on Saturday as the Jumping Jacks were dismissed for 152 with Morne O’Donoghue (62), Eddie McGillivray (24), and Hussain Ali (43) their side’s only batsmen to reach double figures as Nick Fairbank (4/33), Nathan Pulham (2/30), and Will Robertson (2/33) pounced. 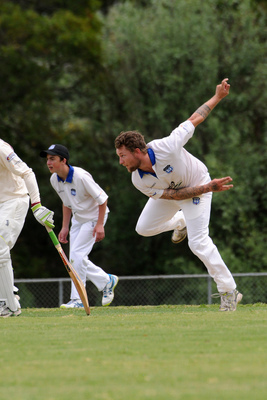 In the final game of the round, Neerim District was in all sorts of trouble chasing Yarragon’s 141 at home – and was ultimately rolled for just 91 in 34 overs despite an unbeaten half-century from Nathan Bayne (50). The Stags simply had no answer for Panthers star Gamini Kumara, who ripped through their batting order like a hot knife through butter to claim a brilliant 7/38. Batting out the remaining overs of the clash, Yarragon finished on 2/72 with Jake Borsato not out on 25. 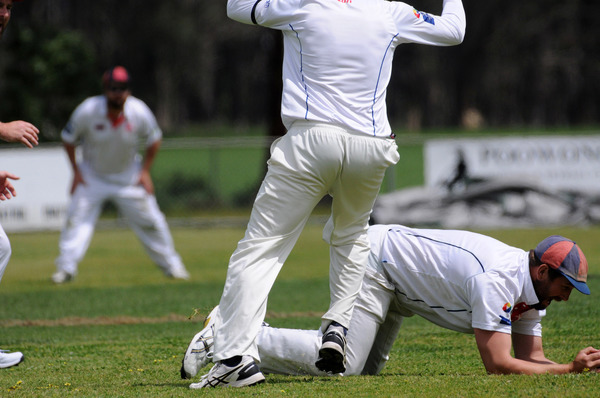 In other news, the WDCA is set to face last year’s winners Bairnsdale in Bairnsdale in Round 2 of the GCL this Sunday. The WDCA side will be coached by Norm Berry and captained by Fraser Duncan, with the likes of Leigh Diston, Jack Armour, Troy Lehman, Sam Van Der Zalm, and Ben Spicer also well in the mix for selection.